“We are just asking the government and the building contractor to respect us local residents, include us in the negotiations, and keep a safe distance between our homes and the wind turbines,” Chen said. The Germany-based wind energy firm, InfraVest GmbH, plans to build 12 new wind turbines along the coast of Miaoli County — six in Tongsiao Township (通霄) and the other six in Yuanli. Worried about potential negative impacts from the turbines and upset that they were not consulted about the project, Yuanli residents have launched a campaign asking InfraVest to revise its plan about half a year ago. While InfraVest initially suspended construction because of the protests, the project was resumed earlier this month without any agreement having been reached with residents earlier this month, triggering a larger protest. My friend said that they were planning to block the cement trucks coming in. I rode over on my bike today, a gorgeous day, and spoke to some of the individuals who were present, and they told me that the police struck the protesters in the kidneys with batons, cuffed them, and hauled 17 of them off to jail in nearby Tunghsiao. They were just released a few minutes ago as of this writing. There's a Facebook page here, and photos of today's incident on Facebook here. Incidents like these happen regularly, most go unreported. Oz: Taiwanese man sues woman for being ugly. 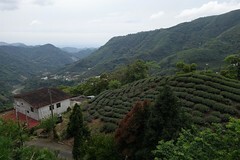 Long Dong, Taiwan, a hidden gem. The carrier killer missile: an instrument of deception? China calls for non-official political dialogue, as if that hasn't been happening since at least the mid 1990s. Taiwan missing out on Free Trade deals. Wow. Who could have predicted that!? DPP runs into trouble over allegations of underworld figures belonging to the party. Foreign marriage: 475K locals married to foreigners, 320K Chinese brides, 1 in 10 elementary school students has foreign parent. Bird flu arrives, and so does chicken throwing. Taiwan expands China travel advisory. China 2.0 is in trouble: with Europe and America lost in austerity, could be another tough year for Taiwan. Atlantic: 28,000 rivers in China are gone... "As recently as 20 years ago, there were an estimated 50,000 rivers in China, each covering a flow area of at least 60 square miles. But now, according to China's First National Census of Water, more than 28,000 of these rivers are missing." This has been circulating on several email groups I am on: Paul H.B. Godwin and Alice L. Miller, “China’s Forbearance Has Limits: Chinese Threat and Retaliation Signaling and Its Implications for a Sino-American Military Confrontation. How China signals its displeasure and when it is getting ready for war. Taiwan and India, a match made in heaven. This should have been done in the 1990s. Taiwan's chickens are awesome. When Kenji spoke to these black meat chickens in Japanese, they understood and came right over. China dispatched over 40 warplanes to join eight surveillance vessels in trying to prevent a flotilla of Japanese nationalists from landing on the disputed Diaoyutai Islands on April 23, according to a Japanese media report. Previous foreign reports had only mentioned that the simultaneous presence of eight Chinese maritime surveillance vessels in the region were the most since tensions over the uninhabited island chain escalated last September. Chunying made the comment after General Martin Dempsey, chairman of the US Joint Chiefs of Staff, in Tokyo said that Chinese officials repeatedly told him during his visit to Beijing earlier in the week that the Senkakus are "one of China's core interests," the report said. The Cabinet approves absentee voting and disincludes Taiwanese in China, thus quelling fears that China could influence the vote. According to the amendments, any qualified voter can vote in a polling station in a city or country where they have not established voting residency, as long as they apply to do so three months before the voting day. It is estimated that less than 5 percent of the electorate would apply for absentee voting, Huang Li-hsin (黃麗馨), director-general of the Ministry of the Interior’s Department of Civil Affairs, told a press conference held after the Cabinet meeting. BTW I have the students write a pro/con essay on whether Taiwan should operate nuclear plants and the papers generally run about 70-30 against. Of course, they may be sucking up to me. The issue is heavily gendered; here as elsewhere it seems males are more likely to support nuke plants than females. The task force is comprised of cross-party Taipei City councilors and is to probe the project’s controversial bidding process, as well as any possible wrongdoing by city officials in relation to the project, amid allegations of bribery. Chinese Nationalist Party (KMT) Taipei City councilors Lee Shin (李新), Angela Ying (應曉薇) and Wang Hsin-yi (王欣儀) withdrew from the task force for having accepted political donations from the second-priority bidder, BSE Engineering Co. However, KMT Taipei City Councilor Yang Shih-chiu (楊實秋) refused to leave the task force, drawing criticism from independent Taipei City Councilor Chen Cheng-chung (陳政忠) as he accused the KMT caucus of lacking the credibility to take part in the probe. Yang insisted that the investigation is targeting the project’s first bidder, Taipei Gateway International Development, and whether he accepted political donations from the second-priority bidder should not be an issue. That's wonderful, you almost have to admire people like that. All these guys accepting "political donations" from the bidders, lucky they aren't former Presidents.... Progress of a sorts, at least some people had the grace to recuse themselves. This scandal has already brought down several local politicians and may do some minor harm to current Taipei Mayor Hau's presidential aspirations, except that they are already remote to begin with. BBC's Cindy Sui on welfare in Taiwan. Rick Monday's podcast, on the martial law era. ...Since the beginning of this year, the yen has fallen 14.72 percent against the U.S. dollar. The magnitude of the depreciation during the period of April 4-19, in particular, hit almost 7 percent on the back of more fund injections from the Bank of Japan (BOJ) to boost the economy. Acer Inc., the world's fourth largest PC vendor, agreed with the argument of little impact from the yen's weakness, saying as Japan is not the major competitor to Taiwan in the world's PC market, a weakening yen is unlikely to affect Taiwan's global standing in the business. HSBC Securities analyst Lai Hui-chuan said as Japan is not a major supplier of components to Taiwan's PC manufacturers, a falling yen is unlikely to affect Taiwanese PC makers' operating costs. Some of local light-emitting diode (LED) firms' global competitiveness, however, has been eroded as they have encountered competition directly from their Japanese rivals which are taking advantage of a falling currency, LEDinside analyst Chu Yu-chao said. Export orders from Japan received by Taiwanese companies fell by 15.6% in March on an annual basis, the steepest decline among orders from Taiwan's major trading partners, according to statistics released by the country's Ministry of Economic Affairs on Monday. The weak yen affected mainly export orders for information and telecommunication products, as well as electronics products, which fell by 8.6% and 18.0%, respectively, in the first quarter of this year, compared with the same period last year, Lin said. Some articles pointed out that major international firms had slowed orders, waiting to see how far the yen will fall. On the other hand, Taiwan's moribund auto market might get a kick since prices will fall if the yen falls; Mazda announced a cut in prices last month. Many Taiwan firms rely on parts from Japan, whose prices will fall, or they hold their debt in Japanese yen, meaning that it is easier to pay back since yen are now cheaper. Hard to say what the overall effect on economic growth will be, but as long as the US and Europe remain committed to devastating their economies and the futures of their peoples through austerity, don't expect too much here in Taiwan. Government to promote the odious habit of tipping. What a bunch of feckless idiots. J Michael on the Huangkuang protest. The fourth paragraph is heartbreaking. The final one is excellent. Billions of bucks flee Chinese stocks as fears of slowdown mount; Taiwan industrial output fell 3.28% last month. Haha. Even the tepid capital gains tax is now being dialed back. Healey at Huffpost: Chen Shui-bian is being killed in slow-motion state violence . Formosa: The Fleeting Prussian Possibility in the 19th century. The French Baron Gros even encouraged the Prussian envoy to annex the island of Formosa as a Prussian colony. The French seemed very keen on having the Prussians as their allies in colonial adventures in Southeast Asia. While French troops were to invade the kingdom of Cambodia the Germans should occupy Formosa and thus hinder both the British and the Chinese from interfering with France's colonial acquisitions. The idea of Formosa as a German colony under Prussian administration remained a visionary goal until the Japanese took over the island in 1895. Meanwhile, with the Prussian government's growing pride in the results of the expedition, the discussion was opened again for a permanent foothold, such as the Western powers had, in East Asia. A royal order from Berlin pointed at the Solomon Islands and Formosa (Taiwan) as the most suitable places for a German colony for the settlement of convicts and emigrants from Prussia. However, Count Eulenburg could not feel easy with the idea of Prussia becoming an equal colonial partner of the British or French. He warned his government that any colonial acquisition in East Asia might result in a diplomatic estrangement between Prussia and the Western powers· and would certainly endanger the recently concluded treaties with China and Japan. In order to stress his arguments Eulenburg reported that the island of Formosa was in no way suitable for any kind of western colonization due to its intolerably hot and humid climate. Notwithstanding the protest of Prince Adalbert, Admiral-in-Chief of the Prussian Navy, who strongly favoured a military invasion of Formosa, the mission was ordered home by the civilian government. West side of the Rift Valley, Jhuofu Industry Rd. Didn't have any decent cameras with me, just the cellphone. 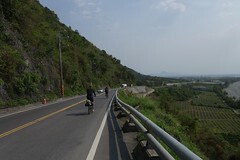 The road runs down the west side of the Rift Valley, the higher end is at the south, where it becomes Nanxing Rd just before it runs into the 20A. It's slightly rolling but always climbing up a very lazy grade if you go south from Yuli (if you head north from the 20A, it's 45 kms of downhill from the bridge all the way to Ruisui). On the Zhuofu Industry Rd the views over the Rift Valley to the coast range are gorgeous, unrolling one stunning vista after another. This road is definitely on my top ten list, and it should be on yours. Directions: Should you take this route, take the 30 south out of Yuli until you reach the Yuzhang bridge where the Zhuofu Industry Rd begins. Haha, it isn't clearly marked. Fortunately, there is a map of biking routes in the area on a sign at the foot of the bridge. You'll know you are at the right bridge because 30 continues past the bridge by going under it. This pic shows the north side of the bridge, the map sign is to the right out of the picture. Additional note: heading south, there is one problematic point. The road with double yellow lines apparently makes a ninety degree turn to the left while a smaller road with no markings heads due south. You should be able to see a large squarish building with a green sign for a clinic from the intersection. The right road is the smaller road past the clinic. A spider checks on lunch amid drops of dew. Given that the parties to the accord are defined as Taiwan and Japan in sub-paragraph (b) of paragraph 3 of Article 2, it is unnecessary to use “competent authorities” in lieu of “both Parties (viz, Taiwan and Japan)” as stated in Article 4, Hu said. If the competent authority is seen as the Fisheries Agency, it does not represent the nation, Hu said. In another scenario, if Taiwanese fishing vessels avoid entering the area, voluntarily or not, that could mean that Taiwan “indirectly acknowledged Japan’s claim of sovereignty over and administrative control of the Diaoyutais,” Hu said. Yup. Surely the Japanese saw this, and also saw that however faintly, to weaken the ROC claim is also to put a ghost of a dent in the PRC claim. And as many observers noted, to separate China from the ROC on this issue is important. The signing of the accord reflects the great importance that Japanese Prime Minister Shino Abe has attached to Taiwan, and its implications go beyond just the bilateral relationship, Ho said. By having Taiwan jointly manage the designated fishing zone, Japan does not need to confront China head on in case of the latter’s maritime surveillance ships entering the waters near the islands, he said. “China would not risk sabotaging cross-strait rapprochement by not reining in unwanted behaviors that could tensions,” he said. The Coast Guard Administration has vowed to take measures proportionate to actions taken by its Japanese counterpart in the event of an intrusion in the area by Taiwanese fishing vessels and vice versa, Hu said. “This suggests that conflicts in the region could erupt at any time even with the fisheries accord in place,” Hu said. This might actually be good for overall tensions, since it is much better that coast guard boats from Taiwan spray water on coast guard boats from Japan and vice versa than Chinese and Japanese boats face off directly. 3. It shows that Taipei is no one's crummy little toady. 2. It reminds everyone that Taiwan remains a responsible de facto sovereign. 1. It shows how mature powers conduct themselves. These are, on the whole, good things. This was an important success for the Ma Administration and for Taiwan, and it would be a shame if the whole thing was made small by the antics of "activists" and another round of the water cannon exchange stupidity. A couple at the Lungteng Broken Bridge in Miaoli. Too tired to blog. Have some links. Sorry about the light blogging this week... just too damn busy. Counties promote Visit the Tropic of Cancer! Whatever for? Chen Shui-bian moved from prison in Taipei to prison hospital in Taichung in the dead of night. "The first part involves institutionalization of the rapprochement with mainland China so that neither side would ever contemplate resorting to non-peaceful means to settle their differences." The first of these is particularly interesting, because it expresses an essentially liberal, internationalist approach to ensuring peace and stability: that is, binding a potential adversary to a cooperative relationship so that the stakes of initiating conflict are just too high. C'mon. What Ma means is that Taiwan is to be so enmeshed in China that subsequent pro-Taiwan administrations can't extricate it. No amount of "institutionalizing" China's desire to annex Taiwan is going to cage said desire. ...which reminds me, the next round of dialogue between the KMT and CCP will discuss liaison offices. Far Eastern Sweet Potato dreams of the day when Japan sells Taiwan sub tech. Taipei, Manila, ink pact with increased protections for local Pinoys. That is, when Chanjibu impeached Magistrate Zhou Zhongxuan 周鐘瑄 for illegally accepting seven hundred taels of silver from a defendant in a criminal case. Ordinarily, this “crime” would hardly even have aroused the attention of the prefect, much less that of the emperor, particularly when the sum involved was so small. Nevertheless, the case would embroil bureaucracies in Taiwan, Fujian, and beyond, make and break several careers, cause the governor-general—and one of Yongzheng’s most trusted administrators—to lose the emperor’s favor, be handed over for resolution to a new governor, and ultimately require the appointment of two imperial commissioners before its denouement. Clearly, the case was after all not just about squabbling or corrupt officials in Taiwan, or even necessarily the bureaucratic administration there. According to Chanjibu, Jing had also brought a classmate’s nephew to Taiwan for the express purpose of assuming false residence (maoji 冒籍) in Zhanghua 彰化 County in order to take advantage of its generous quota in the civil service examination. The footnote to this comment is not to be missed. 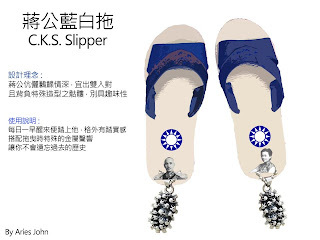 I recall reading in one of the 19th century articles about Taiwan passing mention of people moving to Taiwan to take advantage of better opportunities to pass the imperial exams. Two women assemble stacks of beer cans as temple offerings. Any country where they offer beer to the gods is all right with me. "For years we thought of ourselves as a production oriented company, meaning we put all our emphasis on designing and manufacturing the product. But now we understand that the most important thing we do is market the product. We've come around to saying that Nike is a marketing-oriented company, and the product is our most important marketing tool." -- Phil Knight, CEO of Nike. America’s strategic rebalancing toward the Pacific — known as the “Asia pivot” — could meet its first unwanted test over the Japanese-controlled Senkaku Islands, now being challenged for control by China. Could the Asia pivot’s true fulcrum be located on these desolate, rocky outcrops in the East China Sea? China, which calls them the Diaoyu Islands, claims they were stolen from it after World War II. Over the past two years, Beijing has taken aggressive actions to intimidate Japanese Coast Guard vessels in charge of safeguarding the islands’ territorial boundaries. There are concerns an accidental war could be triggered by miscalculation or by China, in the spirit of nationalism, taking a calculated risk by invading the islands. The question many are asking is: Would Washington fulfill its defense treaty obligations with Japan by taking an active military role to remove Chinese forces from the islands? Or would the U.S. hesitate for political and economic reasons to placate China? If so, what would this mean for regional confidence in America’s commitments to peace and stability? This could be America’s “Suez moment,” said Paul Giarra, who heads Global Strategies & Transformation, a national defense and strategic planning consulting firm in Washington. It could be the moment when America, hobbled by massive debt, domestic political spasms and the lingering wounds of two exhaustive wars, finally realizes, as did Great Britain during the Suez crisis of 1956, that its ability to fulfill its international strategic commitment in a complex, multipolar world ends. The same theme runs through this article that runs through many similar articles about Taiwan: would the US really go to war over the Senkakus/Taiwan/Scarborough Shoal? The commonality, of course, is the declining power of the US. There's a whole industry back home devoted to writing about how the US isn't really in decline, but everyone out here can smell the carrion odor. Including Beijing. The reciprocal of the question beginning Would the US.... ? is of course When will Beijing....? You're not allowed to say the US is in decline, but a commentary in WaPo says we should push harder to get Japan to reverse its decline. To confront China. Great article citing TH Schee, an amazing and special person in the Taiwan IT world, on the open data movement in Taiwan. Beijing should redefine One China so it can get the Taiwanese to come in. LOL. Taipei police chief Wang Cho-chun said the suspects were arrested by police in southern China's Guangdong province and repatriated to Taiwan Tuesday. He says police are questioning the suspects. On Friday, Taiwanese police found two pieces of luggage each containing gas cans and timing devices on the high-speed train, and two other pieces of luggage containing similar devices at a lawmaker's office. Chen, the administrator of the Facebook page “I live in Hsinchu City” (我住新竹市), posted a message on March 28 warning that a man had allegedly tried to kidnap a child in Hsinchu County, but the child’s family spotted him and he ran off. “The next day, I got a phone call from the neighborhood’s management committee, asking me where I got the information. I said a Facebook user passed the information to the ‘I live in Hsinchu City’ page, and not long after, I got a phone call from the police about the same thing,” Chen told the Taipei Times. Chen said he immediately contacted the user who forwarded the message to the Facebook page. “We spent a week trying to find the original source of the message, without success. We were questioned by police on Tuesday and the next thing we know is that we are charged with violating the Social Order Maintenance Act,” he said. In fact, the article reports, fliers have been posted to the area. There is an interesting coincidence: Chen Wei-ting, the TT observed in its article, is one of the conveners of the anti-media monopoly student protests, the anti-WantWant protests, and was the person who criticized Minister of Education Chiang Wei-ling last year (this longish post, even longer post describing the incident). Nah. Couldn't possibly be retaliation. Cultural note: The police defended themselves by saying they had received a complaint and thus, had to take action. The police do not enforce the law, as my friend Jeff Martin pointed out to me years ago, they administrate it -- fundamentally, they often don't take action unless someone complains. Local puppies on the prowl. Locals sometimes warn us, owners of two black dogs, that black dogs have the sweetest flesh and thus, we should be careful lest they are kidnapped for a local dog meat restaurant. The Taiwan High Speed Rail Corp. train stopped at Hsinchu City after someone found the explosives in two pieces of luggage shortly after 9 a.m., according to police. Police said the luggage was emitting white smoke, and people nearby could smell gas. The setup included 5 liters of gasoline and an activated timer device to trigger them, police said. Investigators believe the explosives would have detonated had authorities not intervened, according to police. They said they believe the blast would have taken out one carriage. Police found that the luggage contained an unidentified liquid in cans and alarm clocks, as well as white particulate matter. The items were later dismantled by the bomb squad and taken to the Criminal Investigation Bureau for further examination. Ku Jung-tseng (古榮增), deputy director of the High Speed Rail Police Division, said no detonator was found. This is probably someone out to kill someone for insurance or similar, or a revenge attack on the HSR for some real or imagined slight. Probably not terrorism of any kind. The study found that a spike in tokay gecko demand due to rumors that it could cure HIV/AIDS was relatively short-lived, lasting from 2009 and early 2011. Nonetheless geckos are still traded in large numbers, with over-collection impacting wild populations across much of the reptile's range, especially in Thailand and Java. The study notes that Taiwan has declared imports of at least 15 million geckos since 2004. Major consuming nations also include mainland China, Hong Kong, Taiwan and Viet Nam. According to Customs import information provided to TRAFFIC by the Taiwanese government, Taiwan has imported over 450 tonnes of dried Tokay Geckos for use in TM since 2004, which represents a value of nearly USD 2 000 000 (Table 3). This equates to ~15 000 000 individual Tokay Geckos (See box 1, above). During this period over 57 tonnes of Tokay Geckos (~1 900 000 ind.) were imported into Taiwan on average every year with nearly 104 tonnes (~3 466 666 ind.) imported in 2008. Thailand is the largest origin state for Tokay Geckos imported into Taiwan accounting for 71% of imports (322.7 tonnes/ ~10 757 000 ind.) followed by Indonesia which accounted for 28% (125.6 tonnes/ ~4 187 000 ind.) of imports. Imports from mainland China were comparatively small and accounted for 1% of the total. Thailand has exported 40 tonnes (~1 467 000 ind.) on average annually to Taiwan compared to an average ~16 tonnes (~533 000 ind.) exported from Indonesia. However, in 2008 Indonesia exported nearly 66 tonnes (~2 200 000 ind.) of dried Tokay Geckos to Taiwan. Exports from Thailand are more or less legal, but it is illegal to send them out of Indonesia. There is some farming of geckos but production can't keep up with demand, meaning that wild populations are deteriorating over time despite high reproductive rates and ability to co-exist with humans. All for a completely unscientific, unnecessary, and useless medicinal belief. A spider grabs a bee for lunch in Taichung. Japan and Taiwan concluded a long-awaited fisheries agreement Wednesday in Taipei after officials from both sides formally resumed negotiations for the first time in four years. The deal will allow Taiwanese trawlers to operate in part of Japan’s exclusive economic zone near the disputed Senkaku Islands in the East China Sea, sources close to the talks said. Under the deal, Japan and Taiwan will designate an area in Japan’s EEZ as jointly managed waters where fishing by both Japanese and Taiwanese boats will be allowed. The jointly controlled zone excludes waters within a 12-nautical-mile (19-km) radius of the Japan-held Senkakus. From Taiwan’s perspective, reaching a deal on fishing rights is the optimal result. Taiwan does not have physical control over the islands and has limited means and thus basically no reason to try and acquire physical control. Domestic public opinion does not allow for a strong anti-Japanese stance and Taiwanese are little interested in territorial nationalism. Thus, fishing rights are the only issue that the public really cares about and this is well reflected by politicians, both from ruling Kuomintang (KMT) and Democratic Progressive Party (DPP), who face major elections every two years. While the Japanese Chief Cabinet Secretary Suge has already argued publicly that the agreement was to restore order over the East China Sea fishing issue and not to “split” China and Taiwan over perceived cooperation surrounding the Senkaku sovereignty dispute, no one, including the Japanese media, believes him. Both Jiji (日) and Yomiuri (日) report that an additional reason for the agreement is indeed to silence repeated Chinese calls for PRC-ROC cooperation over the territorial dispute. Jiji notes that domestically Ma has been forced to become somewhat less of a “hardliner” on the territorial dispute, and Japan’s willingness to make significant concessions played a part in pushing Ma towards relaxing his stance (Richard Katz, of The Oriental Economist, notes in a NBR post that many in Taiwan wanted to prioritize the fishing issue over the territorial issue, as also noted by Michal). Wallace also described that PM Abe comes out of a line of politicians who are pro-Taiwan and who were more willing to make concessions. His and Thim's writings are excellent and should be read in their entirety. For one thing, the agreement is to set aside "sovereignty" differences -- an actual application of mutual non-denial -- but does anyone really not believe that come September, the traditional month of traducing Tokyo, that "activists" campaigning "with no official backing" (the last time they were apparently funded by WantWant owner Robert Tsai) will nonetheless appear off the Senkakus, guarded by Taiwan's mighty water-firing coast guard cannon and fomenting incidents with Japan? After all, two more ships were just commissioned expressly for the purpose of safeguarding sovereignty in contested waters and fishing rights, said Ma hisownself. Taipei can always claim they were freelancers and there is nothing it can do.... the fact that this option exists and of course Tokyo must be aware of it suggests that there is either a secret protocol or an informal agreement that activist stupidity must cease. Otherwise Tokyo is going to look pretty inept when the Ma government shrugs with feigned helplessness and allows "activists" to perturb its relations with Tokyo over some rocks which only Beijing and the KMT argue are Chinese. But let's say that all is well and the KMT Administration really does restrain its tiny menagerie of pro-Bejing loon-activists. Well hello! What will Beijing have to do to make up for the absence of Taipei as its proxy prick against the goads of Tokyo? Step up the pressure, that's what! Ironically, this agreement to make tuna, not war, might actually result in greater trouble in the Senkakus by removing the Taiwanese proxy and replacing it with real Chinese warships facing Japanese ships. The CS Monitor's staid approval notwithstanding, we'll have to wait for the annual fall antics of Beijing and "activists" in Hong Kong and Taiwan before we really have a handle on what this means. "What the Curiosity team has found is incredibly exciting. When we combine what we've learned from our remote sensing and contact science instruments, with the data that's coming in from CheMin and SAM, we et get a picture of an ancient, watery environment, which would have been habitable had life been present in it." Wood chips, drying in Hengchun. New cases suspected.... it's spreading!!!!! Test results have cleared three suspected cases of H7N9 avian influenza infection, as 10 new suspected cases were reported, the Central Epidemic Disease Surveillance Command Center said yesterday. CDC Deputy Director-General Chou Chih-hau (周志浩) said on Thursday that six people reported fever symptoms after arriving in Taiwan from China recently. Two of them were infected with the H1N1 influenza, two people had bacterial infections, while diagnoses for two people was yet be confirmed. Changhua County to reinforce blood tests for poultry. Taiwan's travel industry is taking its time to size up the bird flu threat. Taiwan's travel industry is apprehensive about the uncertainty and public anxiety being caused by the H7N9 bird-flu virus and has shown a rare reluctance to gauge the potential impact of the outbreak of the disease in China. Usually quick to openly assess the effect of global incidents on the travel market -- including during the latest tensions on the Korean Peninsula and the 2011 earthquake in Japan -- industry insiders said they would need time to digest the situation in China. The task force convened its first meeting yesterday. Lin said that two Taiwan experts currently in Shanghai were expected to obtain the H7N9 virus strain from the Mainland, which would be used to produce the rapid screening reagent. Lin also noted that a cross-Strait agreement on disease control cooperation had been signed in 2010, but this was not the only channel for the DOH to obtain the virus strain. He said that Taiwan had obtained virus strains from the World Health Organization (WHO) when an outbreak of SARS (Severe Acute Respiratory Syndrome) occurred in Asia in 2002-3. The DOH also said it would develop its own vaccine rather than work with Beijing. CDC staff on way to China to gather information, samples. In Taichung monitoring measures are being stepped up to handle the outbreak. Nantou has prepared 44 isolation rooms for patients if H7N9 appears in Taiwan. Health officials have been calling on hot pot restaurants telling them not to serve raw eggs. 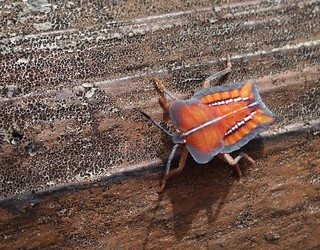 There have been no reports of birds infected with this virus strain in Taiwan, nor of any human-to-human transmission. We cannot keep people from the areas in which the outbreak has occurred from coming to Taiwan, but if they do, they will not cause an outbreak here. Next Media Animators --- vote for them to win a Webby! Here's a question from the Atlantic: why doesn't anyone in Taiwan read anymore? Tie Non visits Quemoy/Kinmen with zillions of pics. Water supplies sufficient to end of June. Taiwan to discuss relaxing citizenship rules for China spouses. TENSION between China and Hong Kong over the arrangements for the election of the city's Chief Executive in 2017 has heightened to the point where Beijing did the unprecedented - it conducted two military exercises within a week to show who is boss. From Hong Kong's standpoint, the crux of the election issue is whether the SAR will have genuine universal suffrage - the Chief Executive is elected by a 1,200-member committee now - a promise Beijing made three decades ago. From Beijing's point of view, this is not just about formulating an electoral system but also about defending China's sovereignty and security. It contends that the election of a democrat as Chief Executive - a possibility that cannot be ruled out in unfettered universal suffrage - would endanger the country's sovereignty and security. This is because it sees Hong Kong's democrats as pawns of foreign powers hostile to China. Lovely day riding on the east coast today. Happy news. Just so you know, the students who protested against the WantWant media monster are still marching, this time in front of the Legislative Yuan telling it to adopt media reforms to prevent this kind of attempt to dominate the media. Manny Ramirez, now playing for a Taiwan team, hit a home run this week. Apparently the earth's orbit was affected or something, judging by the attention in the media. Surprisingly few are satisfied by this apparent triumph for press freedom. The opposition Democratic Progressive Party says the proposed laws are still not strict enough. Mr Tsai denies he is Beijing’s stooge but Want Want’s future coverage of Mr Ma is likely to be critical. And with 14% approval ratings and a lonely position as a centrist in a fierce debate about the nation’s identity, Mr Ma may be wondering where, if anywhere, he can find friends in the press. According to the UN Conference on Trade and Development 2012 World Investment Report, foreign direct investment (FDI) inflows into Taiwan amounted to US$1.96 billion in 2011, putting Taiwan in the second-lowest place worldwide, ranking above only Angola. 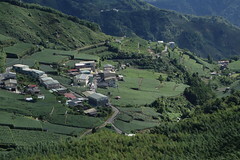 In 2010, Taipei and Beijing signed the cross-strait Economic Cooperation Framework Agreement (ECFA), on which high hopes were placed, but as Taiwan's domestic political climate forbade meaningful opening to Chinese capital, it did not bring in much of an increase in FDI nor did it help Taiwanese exporters as anticipated. What makes matters worse is that Korea's FTAs with US and EU have been implemented, the Korean won has depreciated faster than the New Taiwan dollar, and Taiwan's China-imposed isolation hinders the island from signing its own FTAs. Meanwhile, powerful domestic lobbies become extremely agitated whenever the Kuomintang (KMT) government of President Ma Ying-jeou merely hints at allowing in competing foreign goods or services, as seen last year when Ma allowed the import of US beef containing the food additive ractopamine. The reason that Taiwan hasn't attracted investment from Chinese is because it is not a good place to invest at the moment, not because of the domestic political environment. You can tell it is not a good place to invest at the moment because the amount of foreign direct investment it gets is quite low (the first paragraph explains the second paragraph). If Taiwan was booming foreign investment would be flooding in and there'd be Chinese investing here easily through Caribbean holding companies, Hong Kong, and similar. We also don't have Chinese investment here because China doesn't invest much in neighboring countries, as I noted in this post last year and this one. Of course, the idea of a Free Trade Zones is right out of the 1960s. As Kastner's article points out, they won't have much effect. The time for this kind of policy has passed. I'm tired of reading articles that blame Taiwan for its lack of military spending, like this one from World Politics Review. Taiwan of course has a heaping share of the blame, but if outsiders want Taiwan to spend more, perhaps they should make weapons available, stop supporting leaders who want to put the island into China's orbit, start purchasing weapons from us to support our industries, and start enhancing mil-mil contacts. Taiwan's defense issues are a collective problem. He doesn't understand the opinion polls either. *sigh*. You can ride to the market, school, library, between towns, to the beach, all on smooth paved recreational paths than don't allow motorized vehicles or pedestrians. 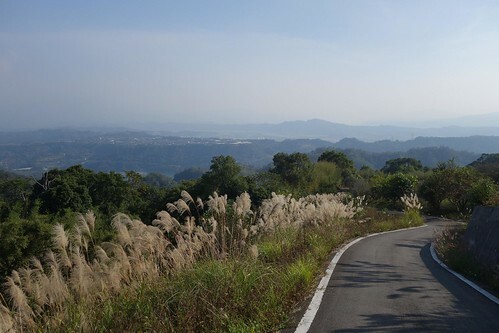 ...and another problem with articles like this is that foreign articles validate in Taiwan, and in this case, they validate the government's bike policies. Which are not good. As I've noted on this blog, the US also must share the blame for the failure of the F-16 deal, as Thim alludes. Is China the new Taiwan? Nope. Tibetan and Mongolian Affairs Council to be merged with the Mainland Affairs Council. Because Tibet and Mongolia are part of China....? President Ma's sister angered by link to growing Twin Towers scandal. Wonder if the media will attack Ma's family the way they went after Chen's if she proves to have been involved. Hahaha. What a silly question. The Chiang Kai-Shek Memorial Hall website at about 6 pm today. The CKS Design Competition is on the right sidebar, in glorious pink. 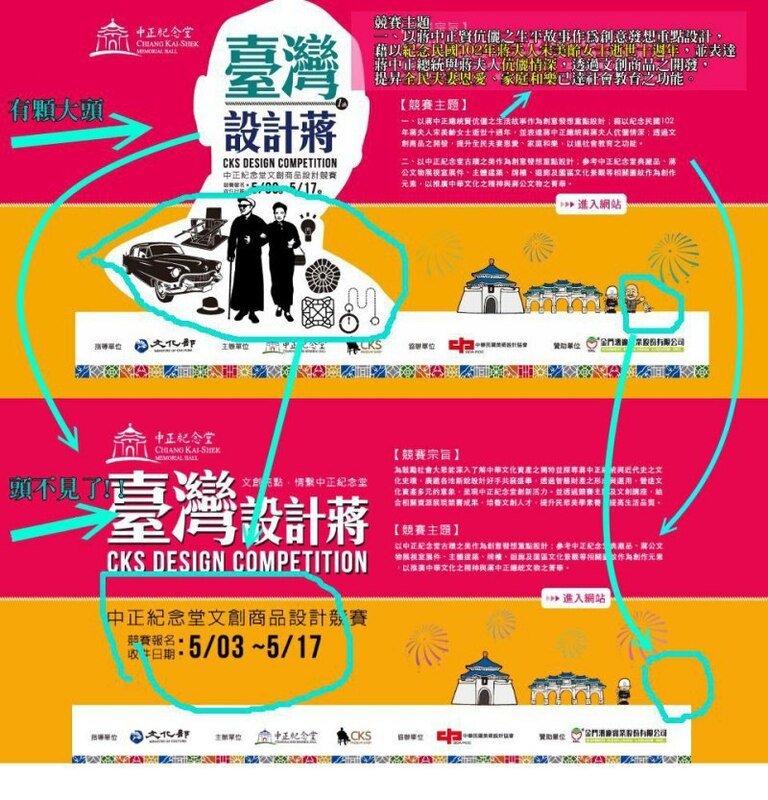 The Ministry of Culture really did it this week with its announcement of a CKS Design Contest (event website). The purpose of the contest -- no I'm not kidding you, please finish chewing all the food in your mouth and don't drink anything for the next minute or so -- was to commemorate the tenth anniversary of the death of Soong Mei-ling, celebrate the love that Chiang Kai-shek and Soong Mei-ling had for one another, and of course, celebrate Chinese culture. This would benefit marital harmony and social education. 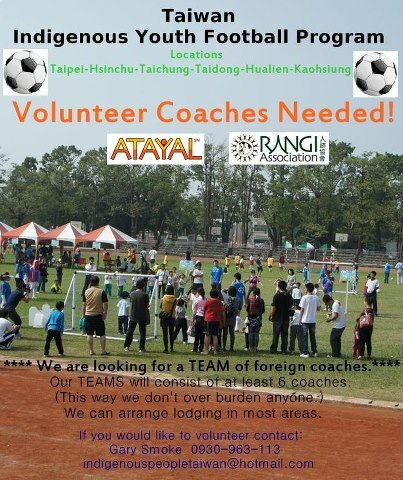 Did I mention the $100,000 NT prize of taxpayer dollars? Yes, this is in 2013, not 1963. Hope you didn't just spew all over your keyboard. ...basically saying that the response to the contest was inappropriate because history is complex and to assign the blame for 2-28 to a single person is "simplistic." As Ben of Letters from Taiwan put it to me, Lung Ying-tai decided to nail her colors to the mast. The CKS design website finally announced today on the login page that the competition had been put on hold. Three days too late. Sobering it is to contemplate how this could have happened, many people pointed out. Obviously there had to be meetings, committees, design people, and somehow... nobody pointed out how politically and historically insensitive it is to do something like this. Nobody alerted anyone to how people, especially the young, would respond. Amazing -- why do they think CKS statues vanished from public areas? Why do they think last year students at ChengChi U staged a mock funeral for Chiang Kai-shek? As anyone who has ever worked on a government project here knows, such projects are aimed to please the people at the top, not so much to carry out their stated purpose, with everyone doing CYA all the way up, a situation innumerable department heads have complained about ("Why am I signing off on all this picayune stuff?"). But it means that people at the top must have signed off on it... and at the bottom, where there must be plenty of young people, there must have been a few subversives who gave this thing a push because they knew what would happen. You'd think someone might have noticed, because the government similarly tried to run an essay contest a while back explaining why the ROC owned the Senkakus, which went over like a lead balloon and was widely derided (ChinaSmack). 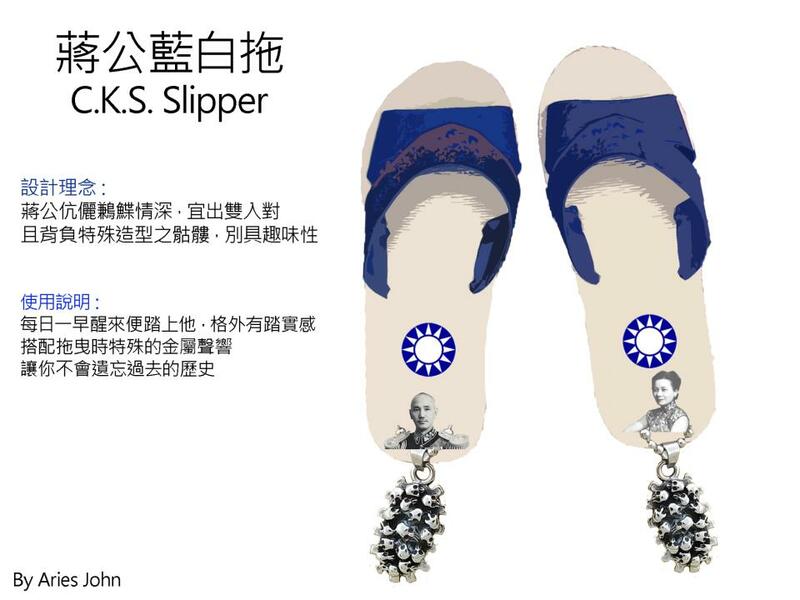 This incident may signal how politically tone deaf and out of touch the Ma Administration is, but what this incident also shows is the long historical shadow of the cult of personality the KMT created around the dictator (my post on JE Taylor's paper) as well as the inability of the KMT to come to terms with and genuinely comprehend the enormity of its own recent past. PS: My thanks to everyone who passed around links and images. 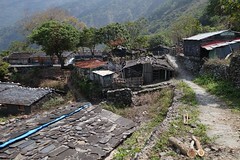 Youtube link to video of my friend Cheryl Robbins and her work in Taiwan. Richard Matheson's interview with reality abroad, a travel website, part 2. Rick Monday with The Scene, Episode 3 over at Taiwanease.com as he interviews Adam McMillan, Adrian Achermann, and Seán McCormack. China's historical amnesia -- this article made the rounds. It disturbs me, it suggests a kind of Othering in which They suffer from historical amnesia while We do not, given validation by the fact that it is written by a Chinese.